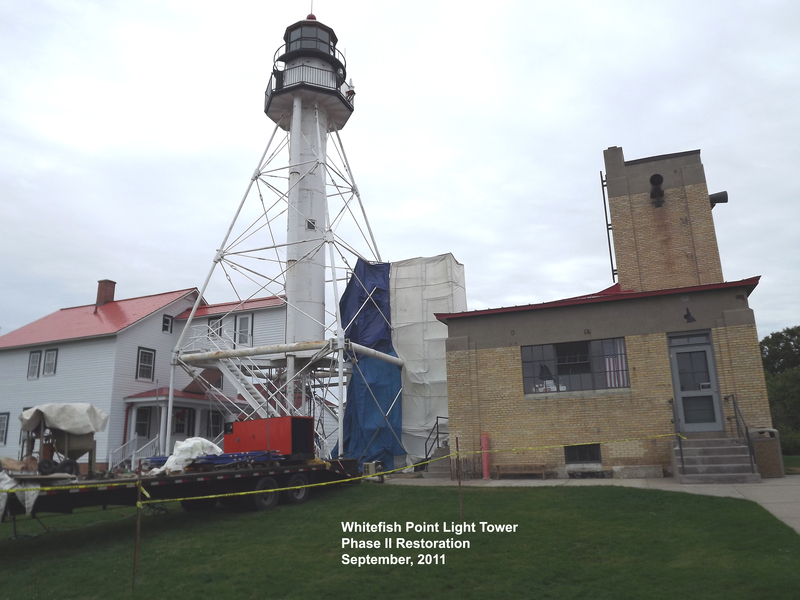 Work is underway at the Whitefish Point light tower. 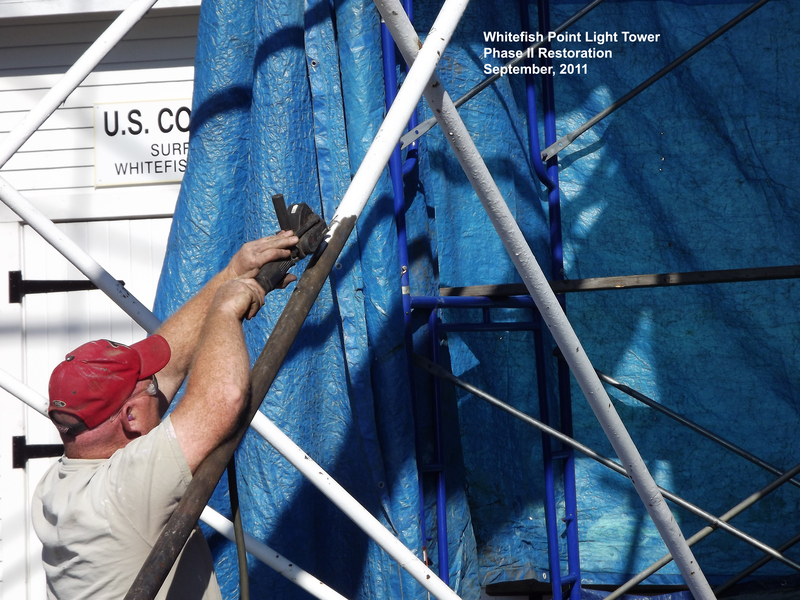 As part of the MLAP grant the skeletal tower is being repainted. Photographs provided by Sean Ley.